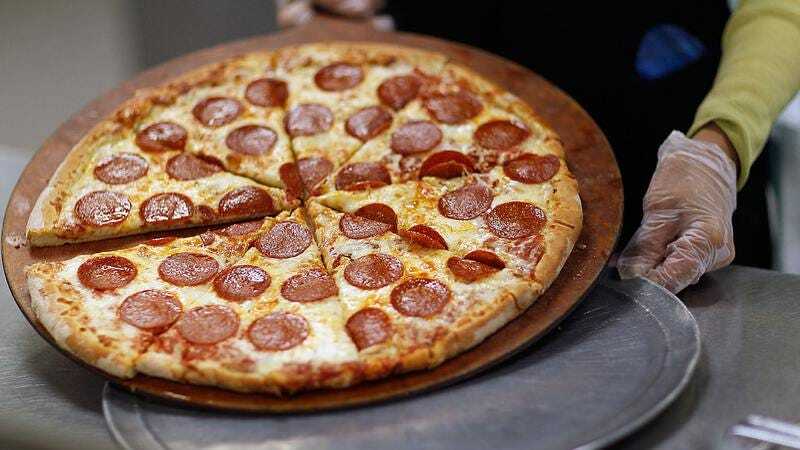 In what looks like the work of that nefarious Noid, a tractor trailer spilled a lifetime’s worth of Tombstone frozen pizza across the I-30 freeway after crashing into an overpass in Arkansas yesterday. No one was injured, but the pizzas blanketed a vast swath of the highway, causing massive delays and robust hunger pangs for frustrated motorists. Some drivers saw the same opportunity in these scattered discs of frozen dough as Homer Simpson did in an overturned trucks filled with beer and sugar, and took to social media as a means of sharing the wealth. But while there are lots of funny things about a highway covered in pizza, nothing is funnier than the person warning people not to eat frozen pizzas littered across this goddamn filthy asphalt. Or the reality that one might have to draw upon power washers to clear a highway of pizzas. Actually, that last image is enough to kill anyone’s appetite.